Ethiopia is the second-most populous African country and one of the oldest countries in the world. Some of the oldest traces of human life can be found in Ethiopia, which is why many travel there and study the history of humanity. The mere mention of Ethiopia evokes images of starvation and loss of human life. The country, like many in Africa, has had to endure long stretches of human struggle. The now notorious period of mass starvation was brought on by serious drought, possibly a by-product of rampant deforestation. 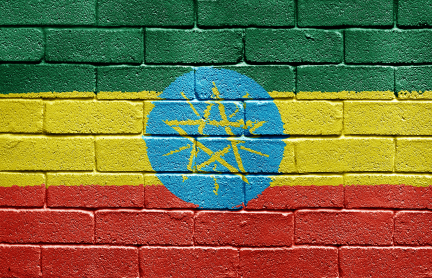 Despite these events, Ethiopia has stood strong as the only African country not colonized during “colonial era,” in which Euopean nations sought to take control of many African kingdoms. At the Battle of Adwa under the rule of Emperor Menelik II, Ethiopia defeated Italian forces thereby declaring its sovereignty and prolonging its culture. Students interested in studying in Ethiopia have the option to engage in almost any field of study, from arts and culture, archaeology, health sciences and research. There are many Government sponsored scholarships which give students the opportunity to study in Eastern Africa. The Benjamin A. Gilman International Scholarship Program is funded by International Academic Opportunity Act and allows undergraduates with financial constraints an opportunity to study abroad. They encourage students to travel somewhere not on the traditional study abroad path. Also, they want to give opportunity to those who normally are not able to study abroad such as those at community colleges, those who cannot because of finances, students with disabilities or those with majors who are underrepresented in study abroad programs (engineering, science, etc.). In order to be considered for this scholarship, the student must have already received a Federal Pell Grant, be in good academic standing, and the study abroad program must be eligible for credit at the students accredited university. Up to $5,000 is awarded to those accepted and the funds must be used towards expenses encountered while studying abroad. An additional $3,000 can be received to those already granted the Benjamin Gilman International Scholarship program for a Critical Need Language Supplement. The deadline for submitting an application for the Fall 2012 has already passed, but for a complete listing of deadlines you can visit their website. The David L. Boren Scholarships are intended to recruit the next generation of national security elite, as well as educate American students who are interested in studying international cultures and language. Applicants with a career interest in national security are preferred. If the student decides not to enter a role in the government they can repay their loan by serving in the federal sector for a time. Students are encouraged to study either intensive programs of Ethiopian culture and language or else pursue fields related to math, sciences, politics, law and technology. Fulbright Scholarships are fully funded for those approved to further their graduate or post-graduate work in Ethiopia. Applicants are strongly encouraged to align themselves with the Addis Ababa University, located in the capital city. Candidates are free to explore a range of fields and must provide both the Fulbright program and the Ethiopian government with a comprehensive proposal for research or study. The School for International Training (SIT) provides study abroad programs aimed at making students effective citizens, professionals, and leaders on an international level. Those accepted into one of their numerous study abroad programs include undergraduates, graduates, and even those working on their master’s degree. While away,a the students will be engrossed in the culture of the people they are with, and will undergo a demanding academic program specific to their field of study. To be considered for their program, applicants must be in good academic standing with a cumulative grade point average of 2.5 or higher, be at least in their second year of college. Applications must be submitted no later than April 1, 2013 for summer and fall semesters, and no later than May 15, 2013 for most fall programs, and no later than October 1, 2013 for the spring 2014 semester. SIT Fund: This scholarship is awarded to those who have showed financial need and have enrolled in one of SIT’s study abroad programs. HBCU Scholarships: are reserved for SIT participants from the Historically Black Colleges who demonstrate financial need. Sally Bragg Baker Scholarships: This scholarships is given to female participants who have an interest in international awareness, and have a desire for international peace through non-violent interactions. Watson Fellowships are awarded annually to over 50 undergraduate seniors who are passionate about taking up “independent” study abroad for an academic year. Fellows are chosen from hundreds of applicants and may go almost anywhere in the world, including Ethiopia, as long as there are no U.S. travel warnings. The Watson Foundation was established from the estate of the original founder of IBM. Applicants must present a unique and challenging proposal to be considered. Self-direction is the main requirement of this program. The Leakey Foundation is world-renowned for its research on human origin. The organization funds the ongoing work of high-level scholars at research locations throughout Africa. Research scholars who wish to pursue this type of research in Ethiopia may receive generous funding. Current research in Ethiopia takes place at Awash National Park. They fund 2 different grants: Leakey Foundation Research Grants and Franklin Mosher Baldwin Memorial Fellowships. Research Grants make up the most of their grant program. These are awarded to doctoral and post-doctoral students. Those working on their doctorate have an opportunity to receive up to $13,500 and post-doctoral students are eligible for up to $22,000. The deadline to apply for this scholarship is January 5th for the spring semester of the following year and December 15th for the following fall semester. Franklin Mosher Baldwin Memorial Fellowships are given to those studying in a developing countries who wish to achieve an advanced degree from a university not located in their home country. There is a maximum 2 years of support, with a scholarship of $12,000 per year. For new applicants, the deadline for this scholarship is February 15th.